This is not a particularly positive review. Julianne, you may want to avert your gaze. To everyone else, avert your gaze if light spoilers bother you. And so on. All things considered, the second installment was a bit of a snoozefest. By the end, though, I was still invested—Control had found Ghost Bird (the biologist's doppelgänger), and the two might have made their way to Area X. Things were about to get more interesting! ... Right? Well, kind of. 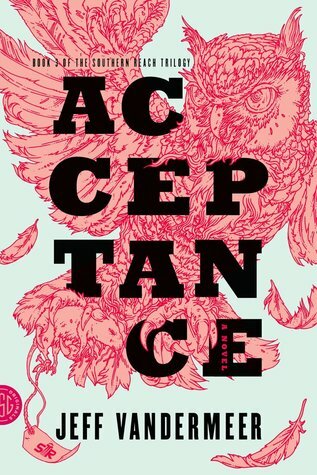 Acceptance definitely was at the beginning, since we started hearing the story from a few different perspectives (Control, Ghost Bird, the former Southern Reach director, and the lighthouse keeper). Around page 100 or so, I started finding reasons to put the book down. I was traveling and couldn't focus, or I wasn't in the mood for something so meandering. Finally, I had a quiet moment over coffee to try again. After I read the same paragraph for what had to be the sixth time and my mind was still wandering, I paused to reconsider. Why was I still trying to read this? Did I really care about what was going on in Area X anymore? And the answer, unfortunately, was a resounding no. I even stopped flipping through the remaining pages for spoilers—I was that disengaged. I DNFed at page 171 and haven't looked back since. Would it have worked for me at another point? It's entirely possible, especially if I hadn't been traveling and coming up on a due date without an option to renew. A couple of days after my decision to DNF, I'm still not regretting it, so I don't think I'll be making another effort. I think this trilogy could be fantastic for someone with significantly more patience and concentration to devote to it. It's mysterious, cerebral, and anything but straightforward. I hope you get more out of it than I did! Nooo I'm so sad. 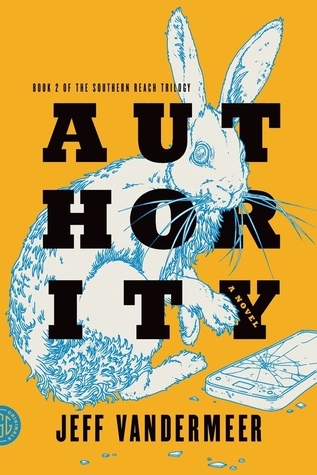 I knew that Authority was trouble, but I'm sorry Acceptance didn't grasp your interest. I absolutely loved it. Sorry for leading you astray!! I still want to read these, even though you didn't finish. I need to know how it ends!